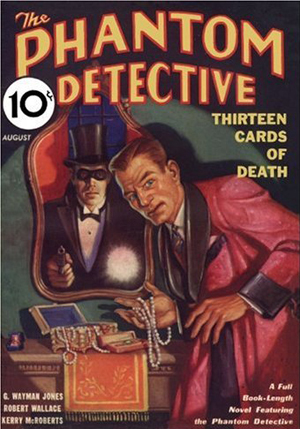 The Pulp Era’s strangest mystery man returns in two more epic adventures by Paul Ernst writing as “Kenneth Robeson.” First, a snowlike powder releases a deadly plague upon the residents of New York City. Can The Avenger save the world’s greatest city from The Frosted Death? Then, a bizarre cloud emits deadly lightning bolts that kill without warning. Has an ancient Indian rain god returned to deliver supernatural vengeance? 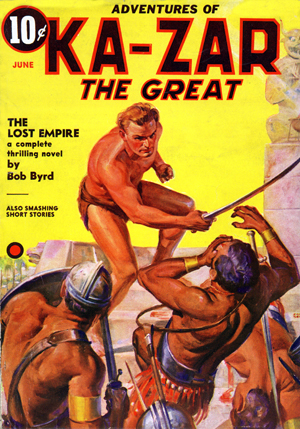 This classic pulp reprint showcases H. W. Scott’s classic pulp covers, all the original interior illustrations by Paul Orban, and historical commentary by Will Murray. 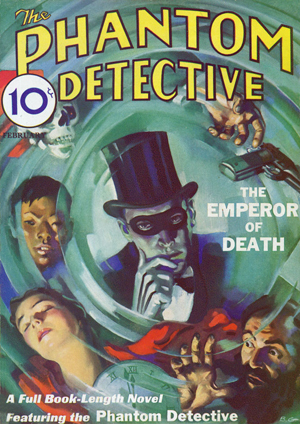 Bonus: “My Business is Death!” Paul Ernst’s 1936 story that introduced the Avenger prototype, the Wraith.